Meet the miniature sculptors that shape our ideas and dreams in miniature. Authentic artists of the miniature !! Antonio is one of the best historical miniature sculptors. His works can be found in several miniature companies and he’s a twice Euromilitaire B.O.S. winner, amongst an endless number of worldwide awards. 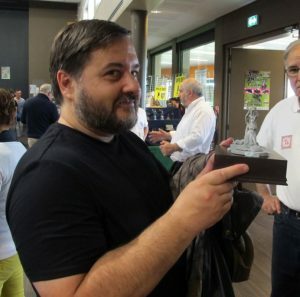 Jose is the man behind the all-time classic Hidalgo- Beneito Miniatures. He is also Oniria Miniatures’ mold maker and caster. We are lucky and proud on counting with his many years of experience in both sculpting and mold making/casting. Even though not personally present in the social media, Both Antonio and Alvaro’s talented work has been present in quite a few miniature companies over the years. Being Bob probably the best 28mm horse sculptor in the market, it was quite obvious that we requested his talent.